The YoYoExpert Velvet Bag is the perfect way to protect your yo-yos from dings and scratches. Just throw your favorite yo-yo in this cool little velvet pouch, toss it in your bag, and you're good to go - No worries about scratches or dings. 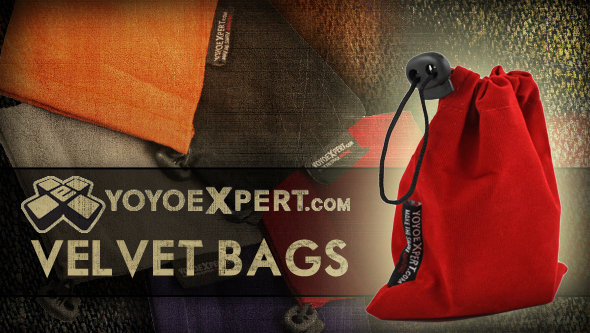 And the YoYoExpert Velvet Bag is compatible with yo-yo holders and holsters too! Just bag your favorite throw, strap it into your holder of choice, and you have an added layer of protection wherever you go!